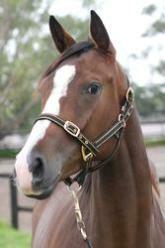 Melb Prem Lot 381 Redoute's Choice - Merlene de Lago. $40k. And no, that's not a typo! Inglis: I have to go with the one we actually bought. Im just an ex con tryna go straight and get my kids back. To be trained by Rob again? I mean, you couldnt break a winning formula could you? Ive got some shares in horses with Rob, pretty sure they're no Buffering's but hoping they can pick up a race. At least he tells you honestly if its any good. okay, I'll have a go. by the way, more than happy to follow up on names. I subscribe to both NZ and Aus studbooks.